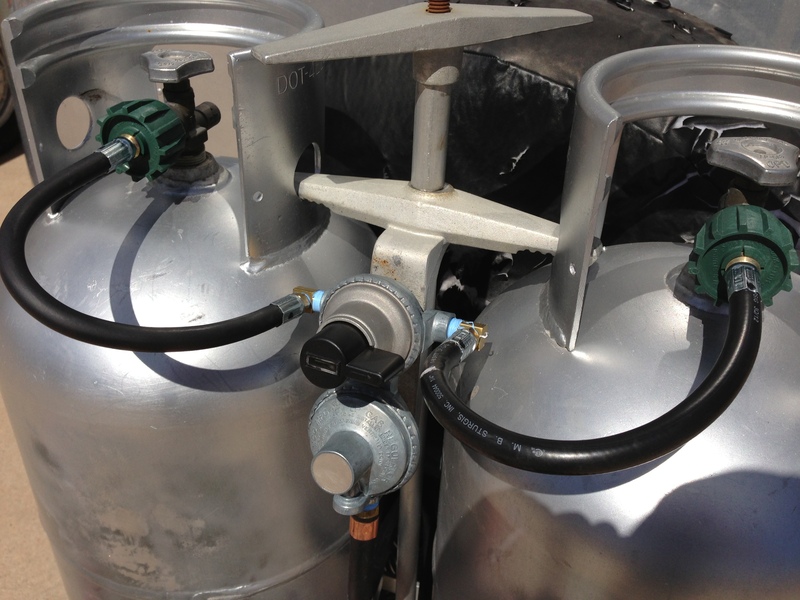 The propane system is an important part of making your RV comfortable, convenient, and cozy. It allows you to have gas-fueled appliances, heats up your coach when you’re stopped on a cold night, and have hot water for showers and washing up. However, the flammability of propane is not to be taken lightly; you’ve got to respect it and be extra cautious with all of the parts of your RV’s propane system. Crucial to the function of this system is your RV propane regulator. There are two main types, and it’s a good idea to educate yourself about how they work and how to care for them. Here are nine things you need to know about your RV propane regulator. To regulate the propane pressure, your RV has a two stage propane regulator. This is a component that fits between the tank to the rest of the system, and it takes the fuel coming out of the tank at a high psi and brings it down to a manageable flow. The first stage lowers the pressure to around 10 to 15 psi from its much higher number, sometimes 250 or more. Then, the second stage takes it down to around 11 water column inches, which is the right flow for your RV’s appliances. Each stage on a two stage propane regulator for RV has a vent. The vent on the first stage is quite tiny, often just a small hole. The second stage vent is bigger and more obvious. It’s absolutely essential to keep these vents clean, or the regulator won’t work properly. To help dirt and debris from getting caught in them, the stage two vent must be pointed down. If possible, the stage one vent should point down too. You’ve got to keep your RV’s two stage propane regulator covered. There are plastic covers made specifically for this purpose, and if you bought your RV new, it should already have one. However, if you have an older model RV without a cover, or if your cover is cracked or damaged, you’ll want to get a new one as soon as you can. Your RV propane regulator should last a while, but it won’t last forever. It’s a good idea to replace them every ten to 15 years. Even if you’re not experiencing any trouble with your RV’s propane system, the inside parts wear down and wear out after a while. It’s wise to replace an old regulator before something inevitably goes wrong. When you fill your RV propane tank (or tanks), turn off the regulator valve. Once the tank is full, don’t forget to turn it back on (or have your service technician turn it back on). If you go to fire up your gas appliances after filling your tank and nothing seems to be working, check the valve — it’s probably in the off position. Some RVs have two propane tanks instead of one. 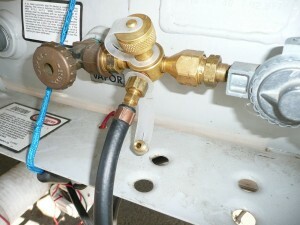 RVs with this type of set up will have an RV automatic dual tank changeover LP propane regulator. To use it properly, make sure both propane tanks are turned on, then switch the lever to one tank. When that tank is empty, just switch the lever to the second tank. Make sure you fill up your empty tank before your spare runs out! Propane has a very distinct odor, and if you smell that odor, something is wrong. It could be a problem with your RV propane regulator, or it could be an issue with some other part of your propane system, but whatever it is, you’ll want to find out quickly. As soon as you smell propane, shut off your tanks, turn off your RV’s appliances, extinguish nearby campfires, and get your lit cigarettes far away from your camper. Then, start looking for the problem or take your RV in to be serviced. Remember, better safe than sorry. The RV propane regulator isn’t a complicated component, and as long as you’re comfortable making repairs, you should be able to resolve any issue that comes up with yours. However, it’s also important to remember that propane is extremely flammable, and you don’t want to take chances. If you’re not sure how to fix your RV propane regulator or any other part of your RV’s propane system, enlist the help of a trusted and experienced RV repair person. Your RV propane regulator may seem like a small part of your whole home on wheels, especially compared to thinks like the engine, the transmission, and the interior furniture. However, having your RV propane regulator break while you’re out on a camping trip could make for some pretty rough adventures. Take the time to learn about your propane system and its regulator, including how to recognize problems and how to replace it. 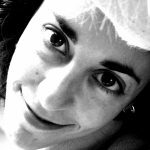 This knowledge can make your time spent in your RV with friends and family much more comfortable and practically stress-free.